Some goodies I picked up from a physical store in Sydney last year! These were from three separate trips in August and September last year. It came in an Aritaum bag! 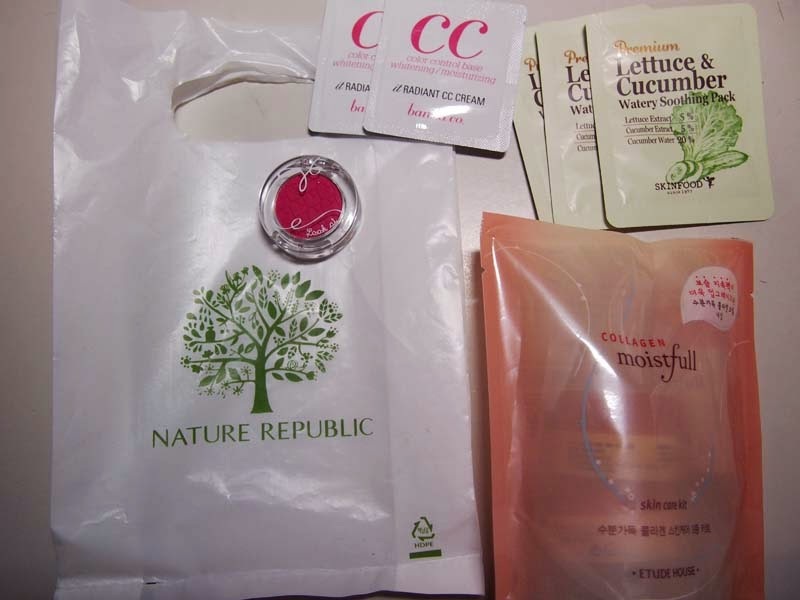 Everything came in a Nature Republic bag! 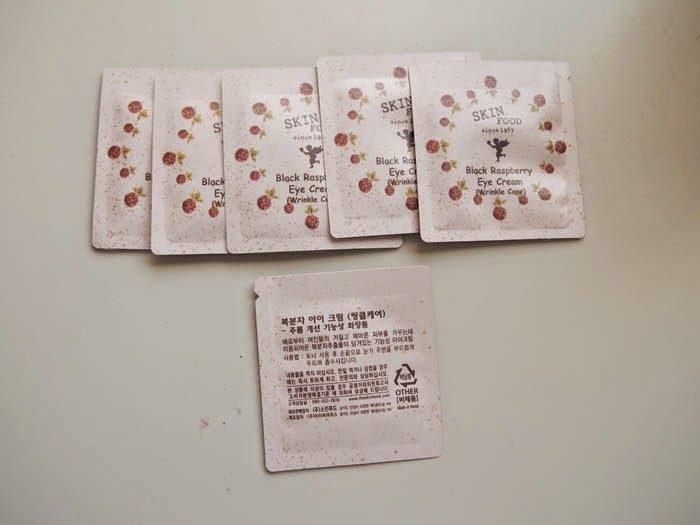 I didn't take detailed pictures, but I purchased another 10 sachets of the Nature Republic Snail Solution cream, one more sheet of the Innisfree Eco Science Spot Wrinkle Essence, a few more of the Banila Co CC Cream, a few more of the Etude House base, and six sachets of Skinfood Black Raspberry Eye Cream. I was so happy the first time I discovered the store! I could now pick up tubs of the aloe vera gel for a very good price, and I could buy samples in person. It was great! 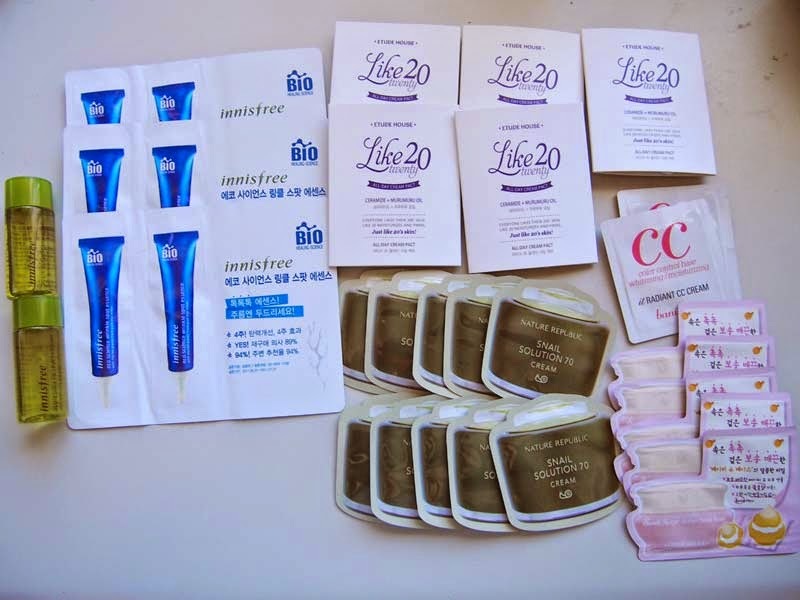 The store stocked everything from high end (Sulwhasoo) to mid end brands (Laneige, OHUI) to roadstore (Etude House). They also had harder to find online brands such as 3CE and CLIO. I really, really wanted to give them my business. After my fourth and fifth trip, I discovered the salespeople of the store to be extremely dishonest. 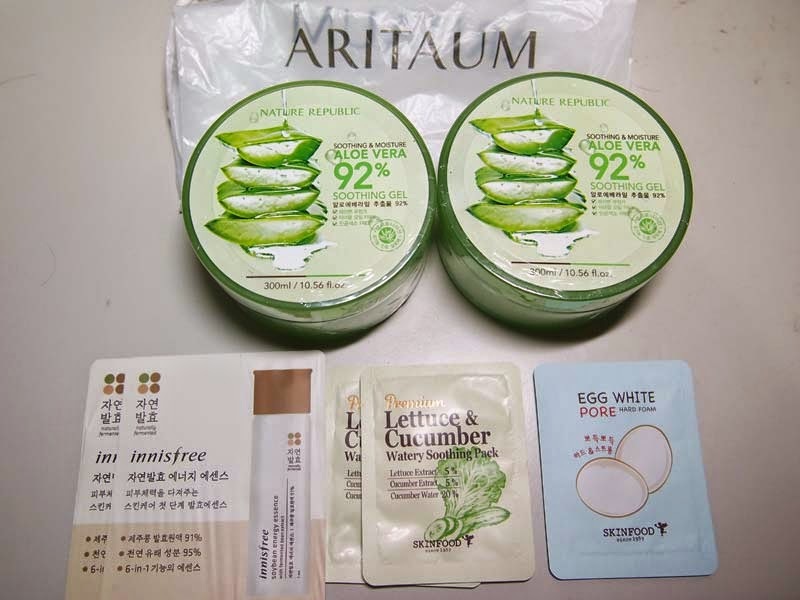 A few days after I first visited them during Trip 1, they raised the price of the Nature Republic Aloe Vera Gel to around $8 a tub and then $11. Fair enough, they were selling it at a really good price when the shop across the road was selling the same gel for $15 a tub. I've now found out that Blush Cosmetics at Central Park is selling it for $6 a tub. The store changed the samples to be buy 5 for a $1 and get one free. I got charged extra until I reminded the cashier. I felt like they actually knew the policy, but they purposely 'forgot'. The Innisfree Eco Science sheets were 20c for the double pack (it was clearly written on the price tag), but I was told it was now $1 for a sheet, and when I tried to buy six, they tried to charge me $10 instead of the $1 that was written on the samples display (buy 5, get one free; 20c each). That doesn't even make sense... I felt like they were trying to take advantage of their customers. I usually don't like arguing and showing disagreement, so I just said I'll purchase one sheet for a dollar and left. Those are some of the reasons why they are not getting my business again. I can tolerate people commenting and following me around a store, but poor customer service really irks me. The price is written on the tag. You are supposed to honour your customers the price on the tag. If it's not correct, then take it off the shelf and say it's not for sale. Maybe I'm being petty, but I'd rather wait two weeks to get an international package from people who want my business.